At House Call Doctor Los Angeles, our internist Dr. Michael Farzam and his team treat every patient with compassion and first-rate medical skill. That's why we're commonly requested among those in search of the best urgent care in Westwood and throughout the greater Los Angeles area. When it comes to medical services like urgent care, Westwood residents have a reputation for accepting nothing less than the best, most professional and individualized care. That's why our house call physicians have been so thoroughly embraced throughout the area. Dr. Farzam and his team are experienced in diagnosing and treating many acute and chronic medical problems and minor injuries with impeccable skill. At House Call Doctor Los Angeles, we understand that when you're in need of urgent care in Westwood or anywhere else in Southern California, the last thing you want to do is wait in line for hours in an emergency room or urgent care facility. That's why we've dedicated ourselves to being the premier health clinic Los Angeles residents can trust to bring medical care directly to their doorstep. Thanks to our urgent care, Los Angeles residents can benefit from a first-rate level of care and attention without ever worrying about fighting traffic or sitting in an uncomfortable waiting room. In today's modern society, many people are too busy to take time away from home for a medical visit. With an urgent care home visit from Dr. Farzam, you can avoid exposure to other patient's germs, while saving time and money letting our house call doctor come to you – you'll even pay less than for most emergency room visits. 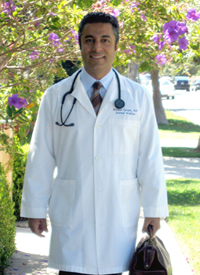 Dr. Farzam and his staff at House Call Doctor Los Angeles is proud to provide urgent care to Marina Del Rey, Westwood, and other areas throughout Southern California, so don't hesitate to contact our team today.